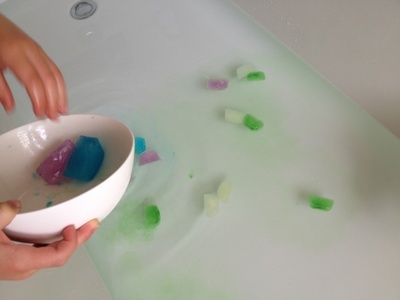 This is a great sensory activity for a hot summer's day or even bath time. 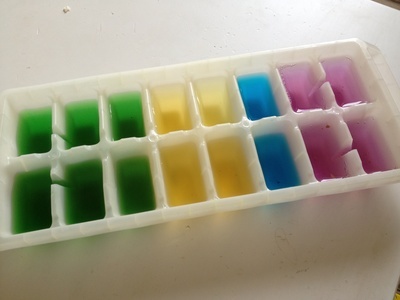 Make up different batches of water with a little food colouring in each. Now the fun begins. Play with them on their own talking about the temperature, sensation and colours. 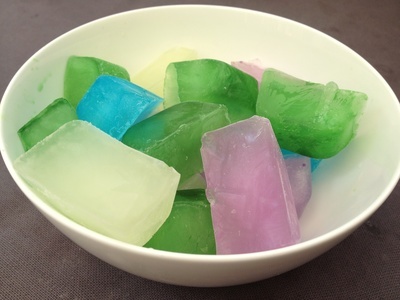 We put them in the bath at bath time and my kids enjoyed playing with them and watching them melt. Would be a lot of fun in the wading pool in summer!